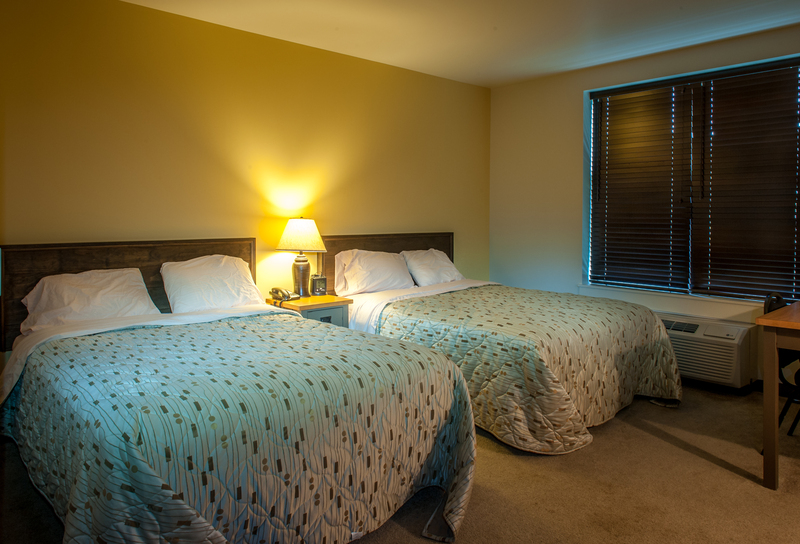 (Includes in-room high speed internet access, private bath/showers, meeting space, individual room climate controlled air-conditioning and heat). 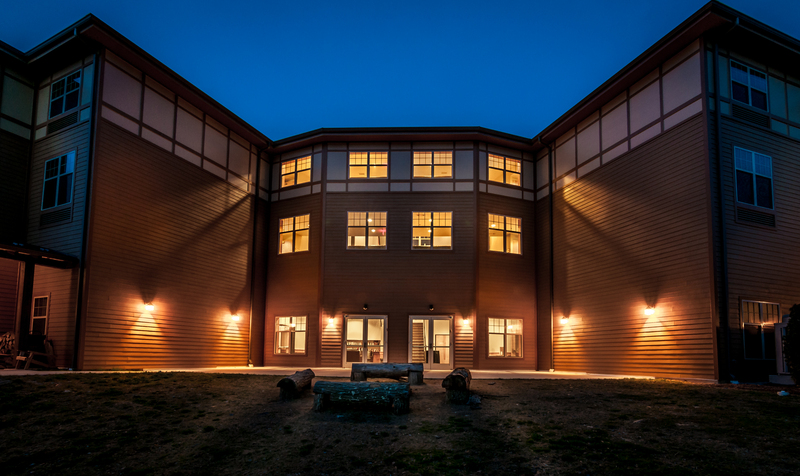 Nesiya Lodge, our newest conference center style retreating option, provides year-round accommodations for guests to experience their retreat comfortably in any season. It is the ideal setting for adult guests to gather, mix and mingle. First class hotel-style accommodations with 42 total guest rooms with 82 queen beds and private baths on the 2nd and 3rd floors and various meeting spaces fitting up to 200 on the 1st floor. Total capacity of 82 guests in shared rooms. 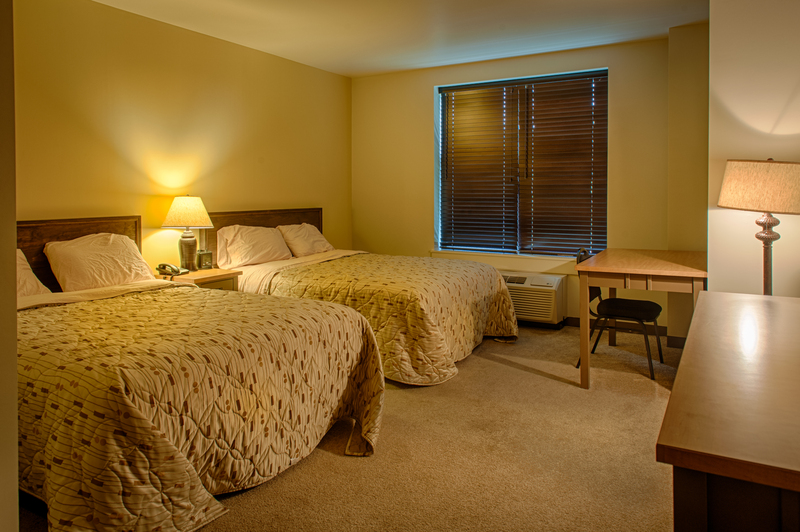 Amenities include individually controlled heat and air-conditioning , hotel quality queen size beds, linen and towel service, desk, phone, wireless internet, and in-room safe. Reception area with informal gathering space and a business center. Large, medium and small meeting spaces. Parking for 60 vehicles and bus drop-off area. Beautifully landscaped knoll with outdoor furniture and a fire pit for hosting outdoor functions. 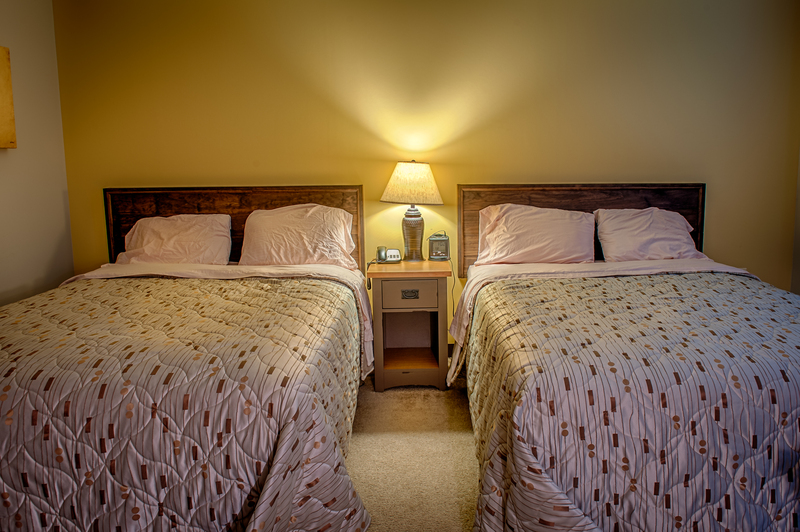 The Nesiya Lodge provides year-round accommodations for guests to experience their retreat comfortably in any season. 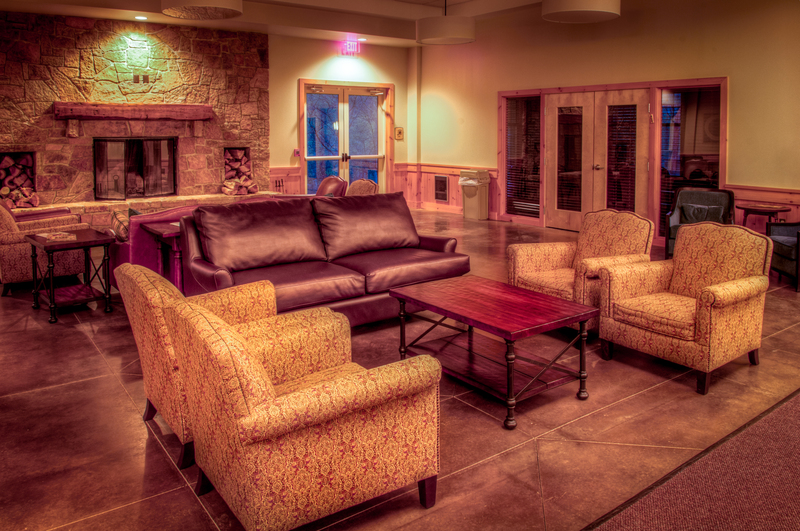 Nesiya Lodge was built in compliance with Americans with Disabilities Act (ADA) standards, including van accessible parking, automatic door openers, guest rooms with over-sized entry ways, extra space for wheelchairs, roll-in showers, and vanities with clearance underneath. Ensuring that all guests feel welcome is essential to our mission and we make every effort to accommodate everyone, no matter what limitations any guest may have.